With only hours to go until NASA’s conference regarding “an astrobiology finding” there is a lot of speculation floating around on what this could be. Most people are betting that NASA is going to announce the discovery of a completely new life form, that doesn’t share the biological building blocks of anything currently living on earth. 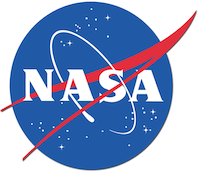 It is predicted that at the conference later today, NASA scientist Felisa Wolfe Simon is going to announce that they have discovered a bacteria with completely alien DNA to anything we have ever encountered. All life on earth is made up of six key components: carbon, hydrogen, nitrogen, oxygen, phosphorus and sulfur. This new bacteria was discovered in he poisonous Mono Lake, California, and apparently uses arsenic instead of phosphorus, something that was previously thought impossible. This discovery has huge implications, as it changes the way we understand life and the conditions needed to sustain it. Which in turn changes the way we look for life on other planets. If this is in fact the announcement… it’s pretty exciting stuff! Lame jokes, like the one above, are just lame. Grow up. If you want proof of alien life, all you have to do is visit the U.S. Congress.